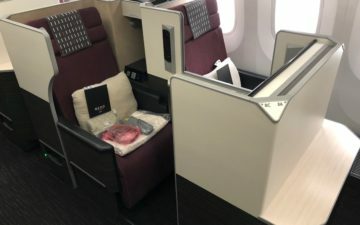 Last April I first wrote about Hyatt Prive, which is a fantastic program that any Hyatt loyalist should be taking advantage of, in my opinion. There are all kinds of programs out there available exclusively to travel agents in order to drum up more business. The idea is that many hotel brands have developed special partnerships with select travel agencies, so that they can offer their guests more perks when staying at their hotels. Last year Hyatt Prive was launched, which is Hyatt’s version of that. 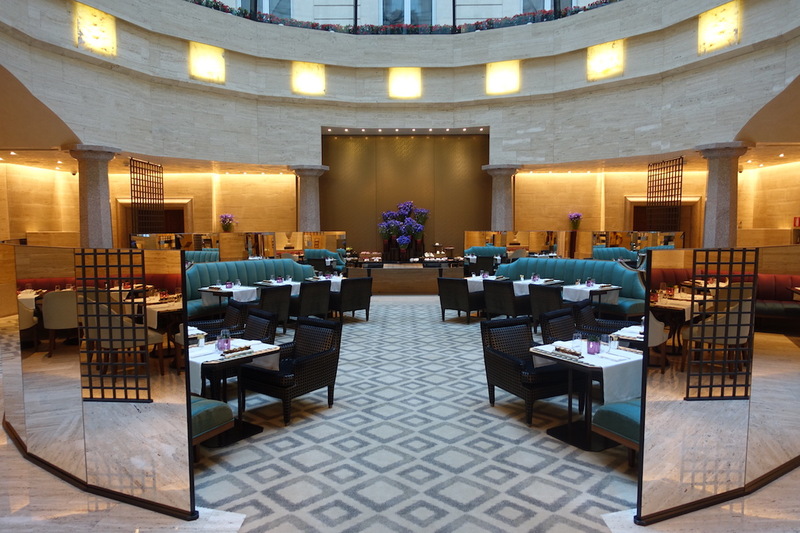 Hyatt Prive offers special privileges at nearly 150 Hyatt hotels around the world. This includes all Park Hyatt and Andaz properties, as well as select Grand Hyatt, Hyatt Regency, and The Unbound Collection hotels. In almost all cases, the Hyatt Prive rate is the same as the flexible/standard rate; you can’t apply Prive benefits on award stays, AAA rates, member only rates, pre-paid rates, etc. Hyatt Prive benefits can often be stacked with third or fourth night free promotions being offered by hotels. This can be a way to get even more value from these types of stays. With that in mind, in this post I wanted to look some great free night offers at Park Hyatts that can be stacked with Prive benefits. In all of these cases terms and conditions apply, so you’ll want to check with a Prive advisor regarding availability. The Park Hyatt New York is offering a third night free on city view rooms and higher through September 2, 2019. This can be stacked with the Prive benefits of breakfast for two, a $100 property credit, etc. 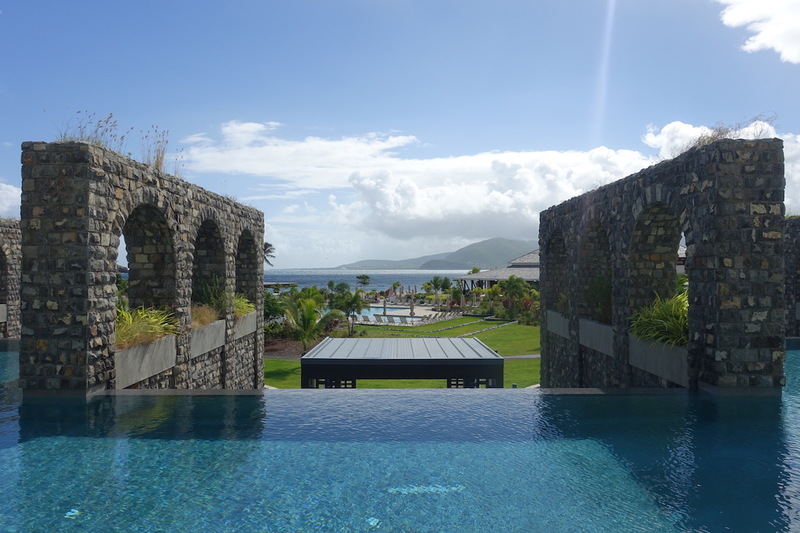 The Park Hyatt St. Kitts is offering a fourth night free on all room types through December 21, 2019. On top of that, if you stay through April 21, 2019, you’ll get an additional $100 property credit, and if you stay after April 21 you’ll get an additional $300 property credits. This is in addition to the usual Prive benefits of breakfast for two, a $100 property credit, etc. 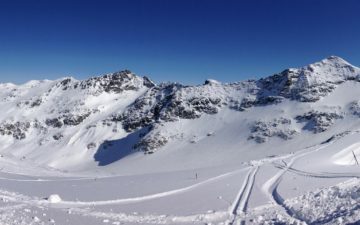 (so if staying April 21 or later you’re looking at a fourth night free plus a $400 property credit). The Park Hyatt Aviara is offering a fourth night free on all room types through June 30, 2019. This can be stacked with the Prive benefits of breakfast for two, a $100 property credit, a room upgrade at the time of booking subject to availability, etc. The Park Hyatt Paris Vendome is offering a fourth night free on all room types through May 12, 2019. This can be stacked with the Prive benefits of breakfast for two, a $100 property credit, a room upgrade at the time of booking subject to availability, etc. The Park Hyatt Buenos Aires is offering a third night free on all suite bookings, and a fourth night free on all other bookings, through December 31, 2019. This can be stacked with the Prive benefits of breakfast for two, a $100 property credit, a room upgrade at the time of booking subject to availability, etc. The Park Hyatt Milan is offering a third night free on bookings for junior suites and above through April 30, 2019. Separately, they’re offering a fourth night free on bookings of all room types through December 31, 2019 (you can’t stack the third and fourth night free for a single reservation). This can be stacked with the Prive benefits of breakfast for two, a $100 property credit, a room upgrade at the time of booking subject to availability, etc. The Park Hyatt Beaver Creek is offering a fourth night free on all room types through April 30, 2019. This can be stacked with the Prive benefits of breakfast for two, a $100 property credit, a room upgrade at the time of booking subject to availability, etc. Consumers can’t book this directly, but rather you have to book through an eligible travel advisor. I know Ford would be happy to help with these reservations, and he can be reached at [email protected] Other travel agents are welcome to leave their information below, so that people can get in touch with them. To me, Hyatt Prive is such an awesome value-add program. When it comes to staying at Hyatt’s better properties I either like to redeem points, or otherwise usually find myself taking advantage of Prive benefits. Whether it’s for a one-night stay at a Park Hyatt where the $100 credit is valuable, or combining a third or fourth night free promo with the standard Prive perks, there’s a lot of value to be had. We would love to help with any Prive bookings. This is only tangentially related but does anyone know if Starwood Luxury Privileges survived the merger? I like seeing these kind of posts (offers done at specific aspirational hotels) and I’m sure Ford appreciates it as well. Would be interested in others for leveraging Amex FHR/Virtuoso/Prive benefits at specific properties of Andaz, St Regis, etc. Hyatt Privé is fantastic! Ford booked my partner and me into a three night stay at the Andaz Costa Rica Papagayo Peninsula. The experience with all the added benefits was memorable! Looking forward to doing the same at the Andaz Singapore and Parky Hyatt Bangkok next December. Hi Lucky! Is the $300 credit at PH st kitts per person?? I remember it was $300 credit per person last time they have that promotion! James is my go to guy if anyone needs a ref. He has put his heart and soul into each one of my bookings. Feel free to use another prive agent. Just trying to to justic to his level of service. Is this stackable with the Citi prestige 4th night benefit? I know they have their own “partner hotels” which receive similar benefits, but those rates normally don’t stack with other promotions. He booked and upgraded him to a fantastic suite at the Park Hyatt Vienna with all the Prive benefits and has answered countless inquiries about other properties. Always timely, fair, and amazingly polite. Want to spend Christmas in St. Kitts? The Hyatt promo ends December 21, 2019. Rather conveniently, I own a fixed Christmas week at the Marriott St. Kitts Beach Club in Frigate Bay, December 21-28. It is a spacious two bedroom oceanside residence that sleeps up to eight. So if you need space for a family or a large group and want to combine with the Hyatt promo, email me [email protected] and I can book it for you. I don’t see how this is better than FHR,Visa Signature/Infinite Hotels. I have a reservation at PH Seoul in about a month, and it looks identical. Is it that they cover all Hyatts everywhere? I am laughing at all the poachers coming in and throwing down in the comments their offers to book these. My god, so cringe worthy. It was the same with the Four Seasons post a few days ago. Makes me wonder about the programs in general given the level of people preying on sites to try and poach. Have you reviewed the Park Hyatt New York yet? @Stuart – Did you even read the post? Lucky says “Other travel agents are welcome to leave their information below, so that people can get in touch with them.” So he encourages other TAs to do so. Ah, I apologize. I did not see that. What is the kickback that Prive agents get? I see this as no different than getting a referral bonus, so it should be fully transparent what the agents are receiving. 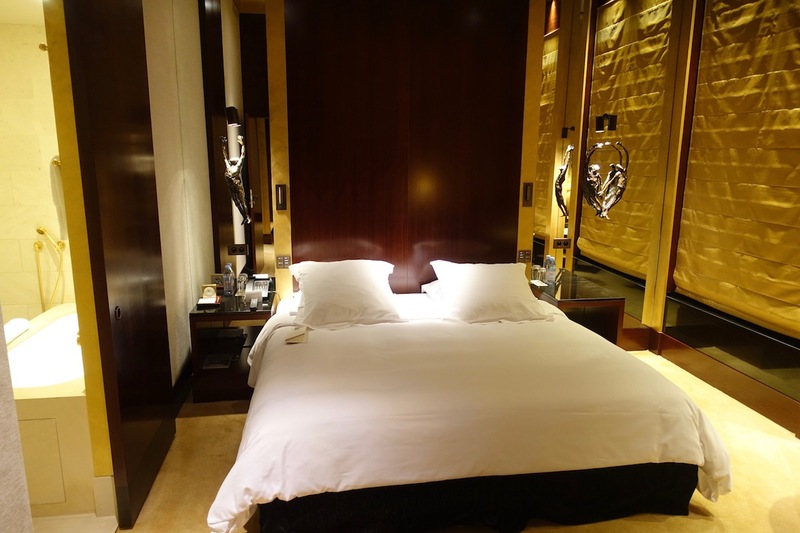 Is it possible to apply a points suite upgrade to a Hyatt Prive reservation? @John C. Not entirely sure, but I would imagine so. I was able to apply club upgrades to them, FWIW. I’m guessing the answer is no, but can they be stacked with the points per night upgrade to a suite?